How should I study for my Organic Chemistry final? Hello students! 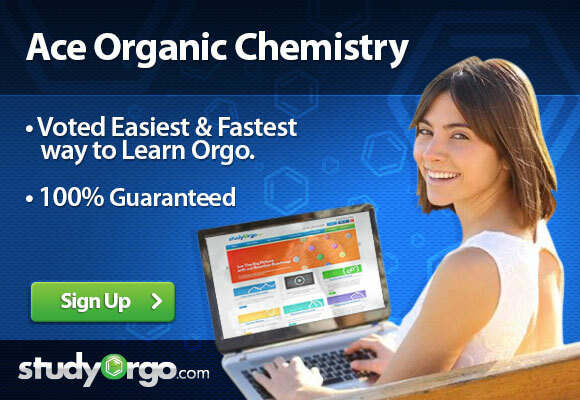 So many of you are likely in the home stretch of Organic Chemistry class and the final exam is rapidly approaching. This sounds simple, but we cannot stress enough the importance of finding out exactly what you are expcted to know on your final. Most of the time the final exam is cumulative, however sometimes it is not. In addition, sometimes the exam focuses on the later part of the semseter- possibly on information that was not tested on prior exams for the course. With StudyOrgo.com’s Quiz Mode (members only) you can now master each entire reaction no matter what information is supplied to you. This is because you can choose what part of the reaction you would like to be tested on. You can even have this change randomly throughout the quiz.